Covering all stages of the creative process from composing, editing, mixing and recording, the new Cubase 9 excels with intelligent tools and features that put creativity first. Offering maximum flexibility, Cubase 9 does not impose a certain workflow onto you, but provides the freedom you need to push your creative envelope. Every artist is different, and every project is unique. Leveraging off their decades of experience in providing solutions for creatives of all stripes, the team behind Cubase listen carefully to the needs and requests of their users and innovate features that inspire and generate real-life value. Free customer support, regular maintenance updates and an open, constant flow of communication with their customers are the firm pillars that uphold the strong relationship with our customer base. Whether you are an industry veteran or taking your first steps in digital music production, the new Cubase 9 line-up has a plethora of tools that’ll fit all your needs — whatever the budget, level of experience or choice of music. 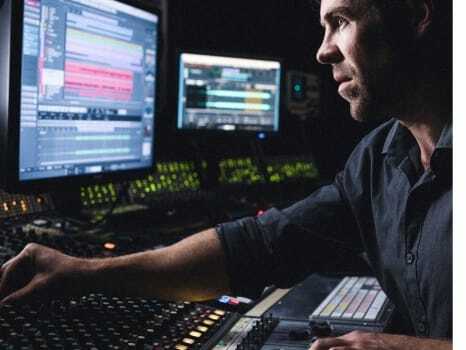 Cubase 9 is the favorite DAW of many of today’s most successful musicians from Grammy-Award-winning EDM artist Zedd to Academy-Award-winning blockbuster composer Hans Zimmer. Upload and share your Cubase projects to the cloud with VST Transit, collaborate with equal-minded artists all over the globe, and remote-record your musical counterpart from afar by simply using VST Connect. Thanks to the innovative cloud collaboration tools featured in Cubase 9, you will be able to realize your music productions wherever and whenever those creative juices start to flow. Pushing technological boundaries and mastering engineering challenges along the way with the goal to develop the most cutting-edge digital audio engine have made Cubase 9 the technology leader in the field of native audio processing. 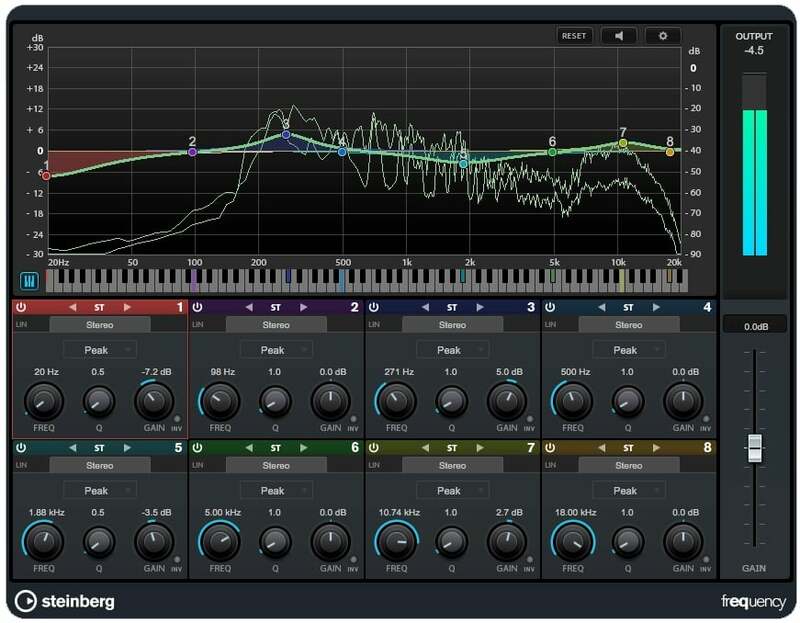 Not just since the innovation and development of the de-facto standards of VST and ASIO by Steinberg, the new Cubase 9 stands for technological excellence on Windows, macOS and even iOS with Cubasis mobile audio workstation. Cubase 9 builds on Steinberg’s heritage, harnessing the passion and expertise to deliver one of the most advanced digital audio workstations today. 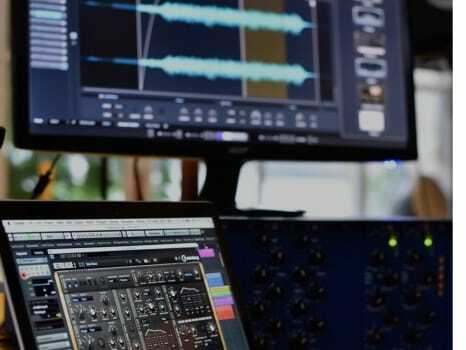 Since Cubase was first introduced in 1989, it has constantly evolved and managed to re-invent the approach to digital music production time and again. Today, Cubase 9 is the heart and soul of many production outfits, and integrates perfectly with Steinberg hardware and digital music products by Yamaha. Sampler Track opens up new creative possibilities; and the surgically precise Frequency EQ takes your mix to the next level. The new Plug-in Sentinel, Multiple Marker Tracks, the improved Maximizer — Cubase 9 introduces loads of new features that you won’t want to miss in future music productions. Access all areas in the fastest and most convenient way using Cubase 9. The new Lower Zone provides a neat and tidy overview to work with. Your tools and editors are now just a mouse click away: the Lower Zone will enhance your workflow regardless whether you’re working mobile on a laptop or in a multi-screen studio environment. Do you need that extra bit of flavor to spice up your production? Are you looking for a starting point? Enter the Cubase 9 Sampler Track. It’s the fastest way to inspiration. Just use any piece of audio to create a Sampler Track, play the sample chromatically, manipulate it with its on-board filters and controls, experiment and enjoy the sonic extravaganza only the Sampler Track can give you. And to top it off, the Sampler Track comes with Caleidoscope, a dedicated sample library with hundreds of samples and presets to get you started right away. M/S support and Linear Phase mode for each band, Auto Listen to listen in on the adjustments you just made, Spectrum Display and even a musical keyboard to help you find the right tone. Frequency has all you need from basic tracking, mixing to advanced final polishing. Ever wanted to compare different mixes with just one mouse click? Allow Cubase 9 to introduce you to MixConsole History*. It’s a great new feature that tracks all changes made in the MixConsole and easily lets you choose several stages of your mixing process just by selecting them from a list. This means you’ll be getting your basic mixer undo/redo, but it also allows you to experiment freely with which mix suits your project best. Comprehensive cloud collaboration… All. The. Way. Our world is getting smaller by the day, and cloud collaboration plays a vital role in it. Whether you want to make remote recordings with VST Connect SE 4* or exchange projects via VST Transit**, find collaborators and partners all over the world, exchange ideas, get connected with others who share the same passion and be creative! No other DAW like Cubase 9 has this level of cloud collaboration capabilities seamlessly integrated into your workflow. VST Connect SE 4 now offers the possibility to find new collaboration partners in a flash. VST Transit adds further improvements and supports even more tracks and VST 3 third-party plug-ins. Cubase 9 is one of the most stable and reliable DAWs on the market, allowing you to focus entirely on what’s really important: your creativity and your productions. The new Cubase 9 introduces several new features that emphasize this approach further, making your Cubase 9 experience even more comfortable. It’s always a good idea to keep your recording and mixing levels nice and easy. But it’s a different story when finishing your productions. To let your final mix sound “contemporary” you won’t get around using Cubase 9's Maximizer. Not only did it get a new coat of paint but also an in-depth algorithm overhaul. Choose between the classic mode and the new modern mode to get the most out of your mixes, while keeping the result transparent, clear and brilliant. Have you ever wanted to use the Retrologue filters or effects separately? Well, with Cubase9, now you can! The new Audio-Ins option offers you the opportunity to send audio to VST 3 instrument plug-ins supporting side-chaining. This will increase your creative sound design possibilities tenfold. You can’t get enough of inspiring beats and grooves to fire up your tracks. Production Grooves feeds your Groove Agent with over 400+ drum loops and presets for all contemporary styles of music. Whether you want to have basic drum accompaniment for a songwriting session, hit the dancefloor with full blown epic electronica or garnish your rock with some serious beef: Production Grooves gets you there! The new Cubase 9 allows you to use up to ten marker tracks. Imagine recording multiple instruments on several tracks and giving every one its dedicated markers. This means you not only have the power to structure your projects in a much more flexible way, from now on you even can export stems and mixes using the cycle marker ranges. The new AutoPan offers a much bigger variety and flexibility to creatively play with your sound in space using Cubase 9. Make use of various shapes, sync modes, panorama settings and much more, which are all quickly accessible via the new user interface. If you like the new Maximizer you’ll certainly be happy to see that the Brickwall Limiter, Compressor, Expander, Gate and Envelope Shaper also have been graphically overhauled for a similar look and feel and streamlined workflow. The improved interface and detailed representation of the parameters will help you to get the most out of your state-of-the-art effects processors in Cubase 9. The many top-of-the-line tools that come with Cubase 9 Pro let you edit and enhance your recordings in the most convenient and efficient way. Edit multiple tracks at once with the smart Track Edit Groups, quantize your recordings with the straight-forward AudioWarp tool set and push your vocal and monophonic audio recordings to perfection with the stunning VariAudio 2.0 audio editing and pitch alteration tool. The state-of-the-art mixing environment in Cubase 9 Pro is unmatched in terms of flexibility, quality and workflow. VCA faders and Control Link Groups let you master even complex mixing situations. The 5.1 surround support makes Cubase Pro the first choice in many film studios worldwide. The powerful Control Room concept seamlessly integrates performer mixes and monitoring setups into your recording and mixing workflow. The list just goes on and on and on. Cubase 9 Pro adds over 80 high-quality audio effects to your mixing arsenal. The beautifully spacious REVerence convolution reverb, the series of multiband processors including Multiband Compressor, Expander and Envelope Shaper, the surgically precise Frequency EQ, Voxengo’s spline CurveEQ, the Surround Panner, and this is only to name but a few. 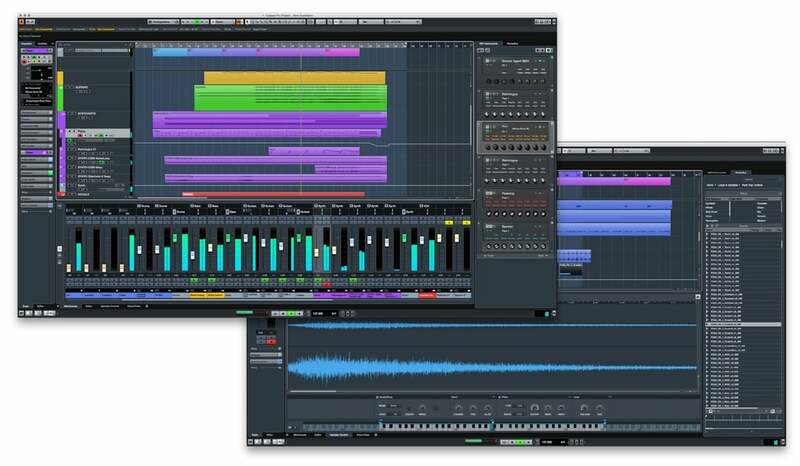 Cubase 9 Pro also supports the integration of external effect devices and instruments, such as hardware synthesizers or hardware signal processors, into the sequencer signal flow. The superior audio recording and editing capabilities in Cubase 9 Artist let you get the very best out of your recordings in the fastest and easiest way. Conjure the perfect take out of the lane tracks with the dedicated comping tool. Create and compare different variations of your songs with TrackVersions, and perfect your audio recordings in real time with AudioWarp time-stretching, pitch-shifting and warp quantize. Just hit record and let the creativity flow through you. Are you looking for harmonic inspiration? With Chord Pads and Chord Track in the new Cubase 9 Artist you have intelligent compositional tools at your side that offer a playfully and creative approach to beautiful chord progressions and advanced harmonic voicings. In addition, VST Expression 2 gives you a revolutionary approach to create and edit instrument articulation and dynamics for each individual note for a much more natural feel and absolute accuracy. Cubase 9 Artist delivers an impressive palette of VST instruments and effect processors for audio and MIDI right out of the box. Whether you’re looking for the lush sounds of Padshop, analogue synth madness that seeps from Retrologue 2, the highly acclaimed rhythmic diversity of Groove Agent SE 4, top-notch audio processing with the REVelation reverb or VST amps for guitar and bass, there are endless possibilities in Cubase 9 Artist that open up to musicians and producers. Cubase Elements 9 can keep up with the pace with which your ideas flow. Whether you want to record your instruments and vocals or program cutting-edge beats, you will find all the creative tools and features in Cubase Elements that will guarantee an efficient and rewarding workflow. Improve your tracks with professional and precise editing and mixing capabilities and polish you productions with the top-notch channel strip in the integrated MixConsole — just exactly to the standards you expect from a Cubase-line product. 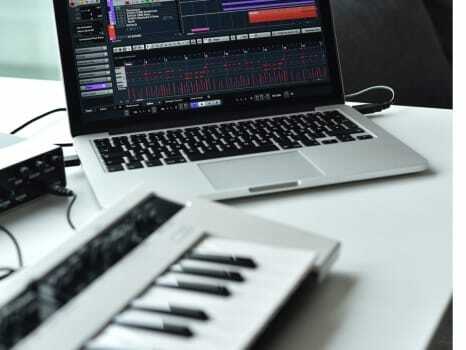 Composing music consists of finding an idea that you can elaborate into a full music composition. Cubase Elements makes it easy to harmonize and arrange your music with the innovative and unique Chord Pads and Arranger Track. Regardless whether you’re looking for further inspiration, a quick and easy way to play chords or try out different arrangements, Cubase 9 Elements offers you maximum flexibility combined with a lightweight user interface to refine your ideas and get the best out of your music. Stay a step ahead of the rest with powerful instruments and awesome sounds. HALion Sonic SE, Groove Agent SE and Prologue Cubase Elements provide a vast array of high-end sampled instruments, uplifting acoustic and electronic drums and grooves, state-of-the-art synths and experimental sound design tools. With the acclaimed VST Amp Rack tone suite all the amps you need stand right by your side to give your music that very individual tone.